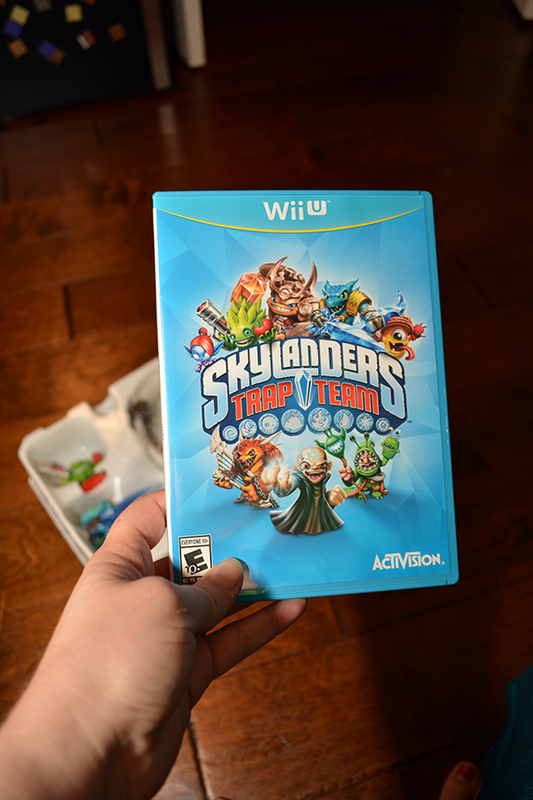 Note: We received a copy of the Skylanders Trap Team game to review. 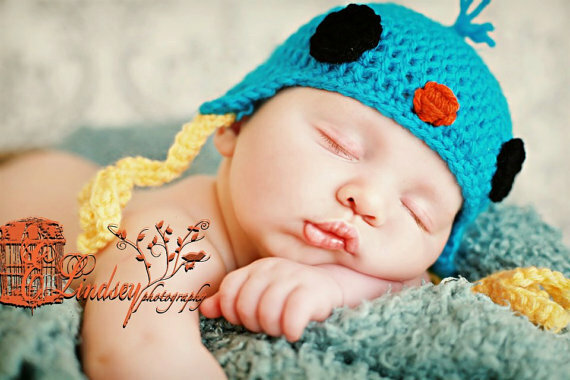 We were not compensated monetarily and all opinions in this post are honest and our own. 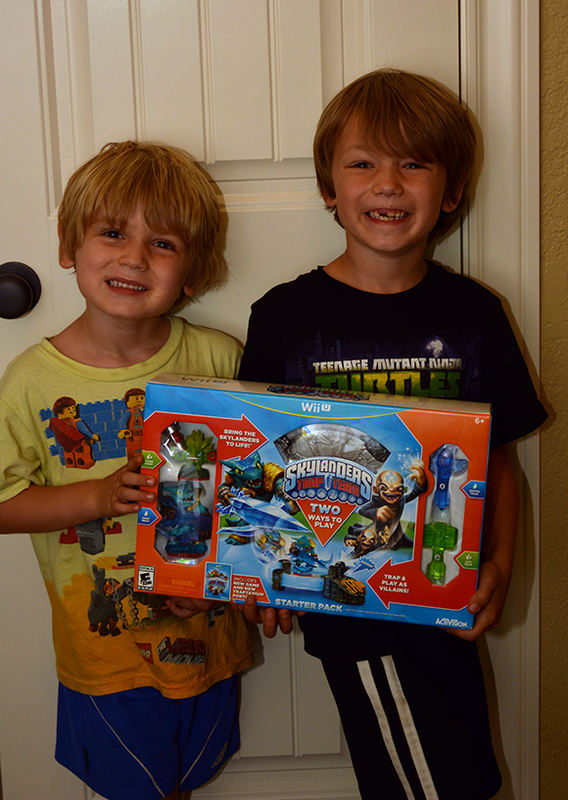 What you see in the photo above is the faces of two very excited little boys. I have been hearing about Trap Team for months, so I was really thrilled when I got the chance to review the game. I didn’t tell them it was coming, and just surprised them when it arrived. I heard “best mom ever!” many times that day after school, especially since they got to play it on a school night. 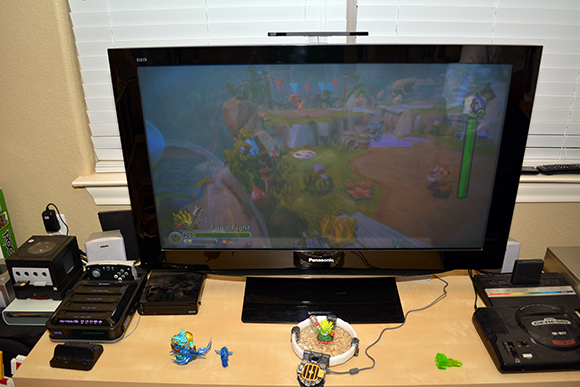 For those of you not familiar with Skylanders in general (I’m sure there are maybe 3 of you), it includes a portal that hooks up to the system and allows kids to bring characters into the game by placing figurines on the portal. The Trap Team game takes the fun even further by introducing traps, which allow kids to “trap” bad guys and play with them later in the game as good guys. 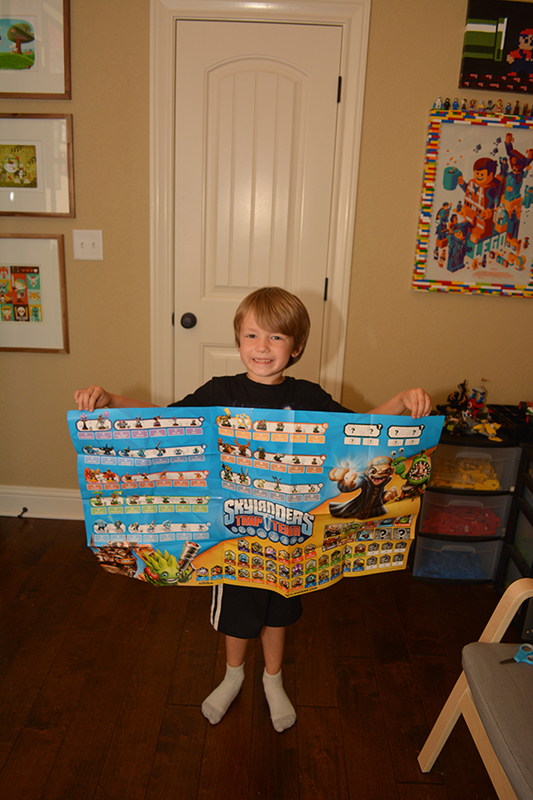 • Sticker Sheets with Secret Codes – Enjoy stickers of your favorite Skylanders. 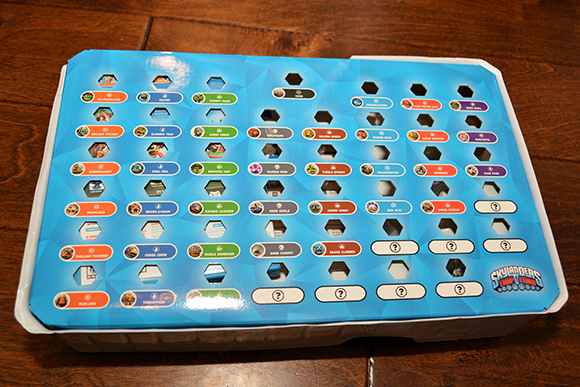 Place the names and codes on the Character Collect Poster to track your collection. 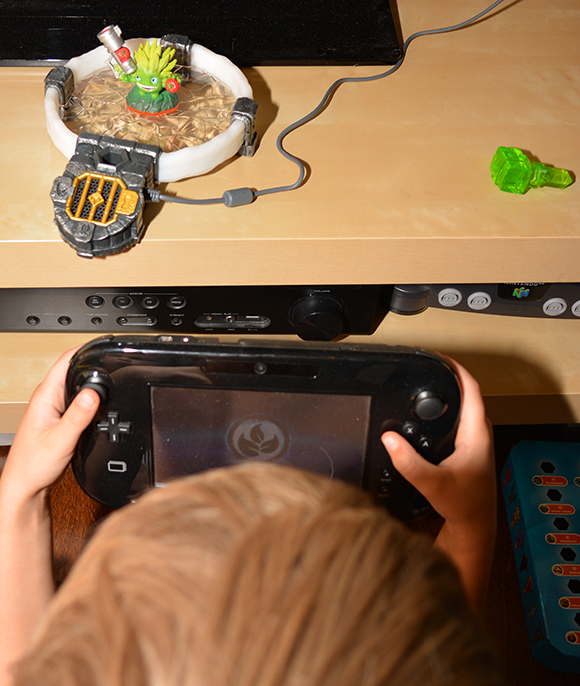 The secret codes can be used in the Skylanders Lost Islands ™and Skylanders Collection Vault ™Apps. 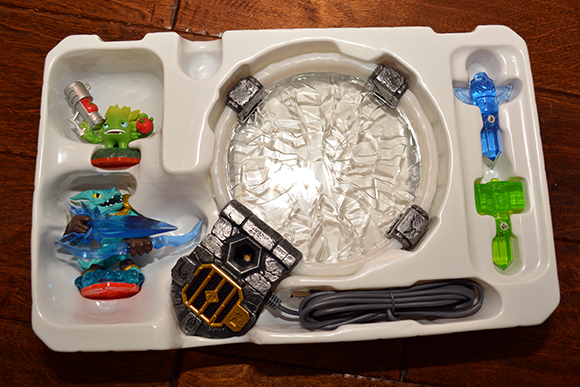 The Trap Team figures are on the left, the portal is the large round center item, and the traps are the blue and green pieces on the right. Here’s the game packaging – our five year old actually hugged the case! The Trap Team poster – I can’t tell you how much time our kids spent talking about all of the characters on this! Tray to house your traps. The boys, of course, decided we need to fill the tray entirely. This portal glows when plugged in, and even has a speaker to hear the trapped characters talking! As you can see in the photo above, the characters sit on the portal; if you notice the little hexagonal hole in the portal, that’s where you put your trap when you’re playing with that. 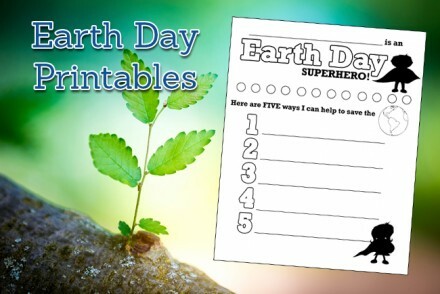 The boys had so much fun playing with this, and our two-year-old even enjoyed sitting and watching! We’re really pleased with this game. 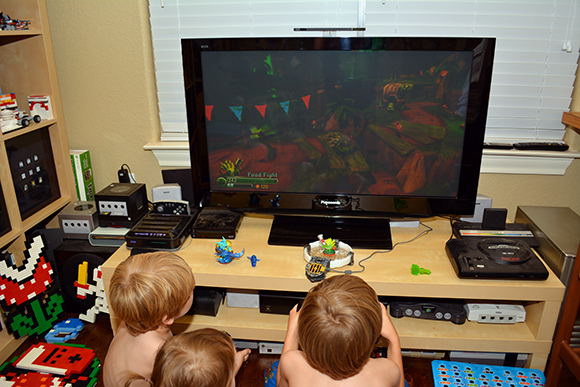 The boys have hours of fun on it, and there’s a lot of room for expansion with the various characters and traps. The game is available on tons of platforms, so you should be able to find it for one you own – it’s available for the XBOX 360, XBOX ONE, PS3, PS4, WiiU, 2DS and 3DS, and the Kindle Fire, too. The starter pack, like I mentioned above, retails for around $70-$75 depending on which platform you purchase it for. That’s a little pricier than a standard Wii U game, but it comes with all the extras of the portal, characters, traps, and poster, so I feel like it’s a good value for your money. 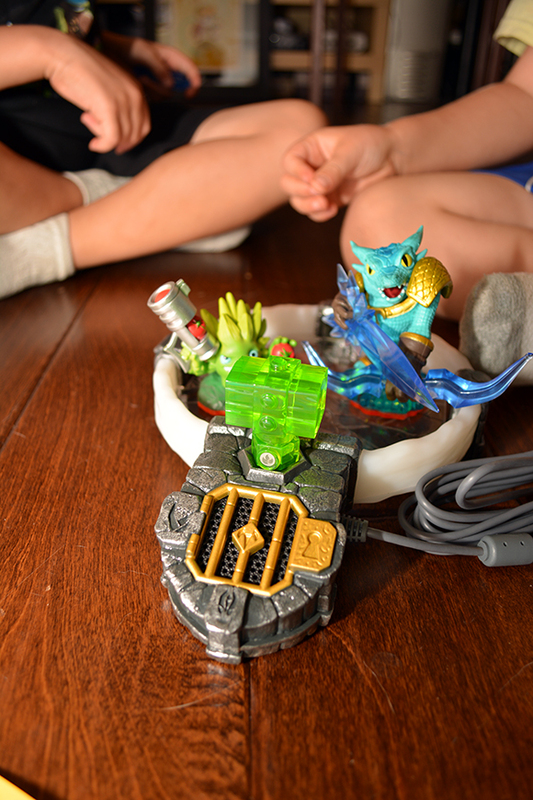 I know our boys will each be getting a Skylanders character and trap in their stockings this year (character pricing starts at about $9.99, and traps are typically just $5.99), and if you’re looking for a great gift to put under the tree, you won’t go wrong with Skylanders Trap Team. 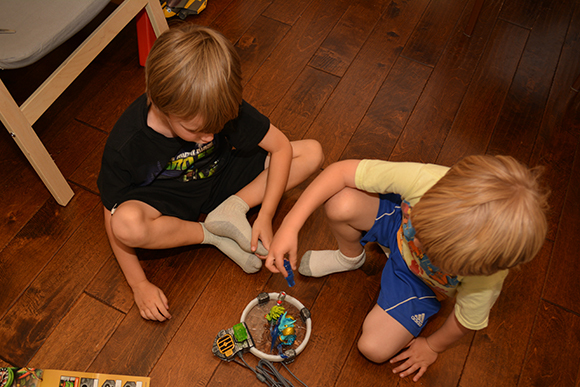 If our kids’ reactions are any indication, you’ll be parent of the year when they open it up!